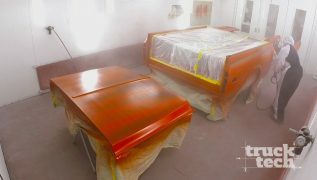 The ’55 F100 is assembled and body worked for paint. 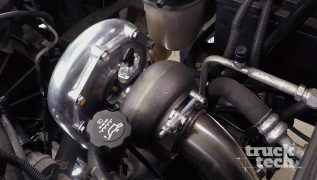 Diesel NighTrain hits the strip for a smokin' payoff & cam swap and tune of our '10 Silverado "Project White Noize"
Our Ecoboost-powered ’55 F100 gets a custom-fabricated intercooler and the frame is treated to a full-on paint job. 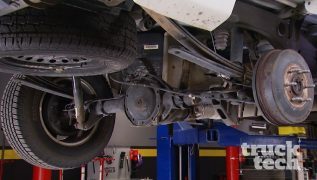 The sleeper Silverado returns for a trans swap and axle upgrades, including Gearing 101. 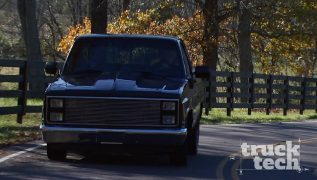 Our sleeper Silverado is awakened with the addition of a turbocharger, four-inch exhaust and more. Basket case is wired bumper to bumper while the Chevy C10 is plumbed and given a custom cutout exhaust. 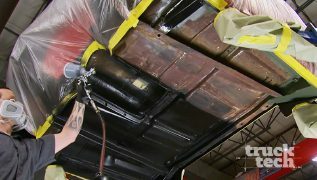 'Classic C10 Chevy gets treated to rust repair, painted firewall before prepping for paint as a fully assembled truck. 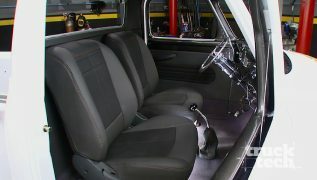 Our C10 Chevy gets bed assembled, cut open for exhaust and a fresh interior. Plus relocating the gas filler by shaving the factory hole. 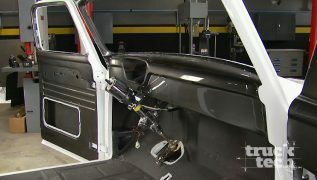 Fail an emissions test? Quick fixes to get you passed. 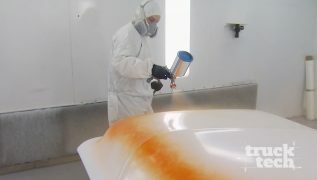 Plus our C10 gets painted to look old with fauxtina treatment. 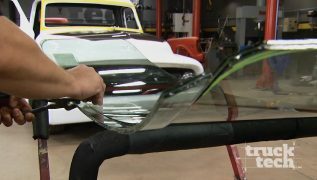 A chopped top begs for a custom cut windshield, Glass Guy Chicago will show us how it's done. Plus the rest of truck is assembled before the big payoff and auction. 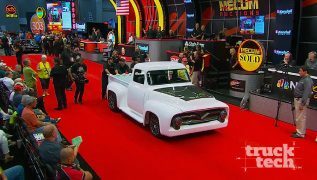 The '55 F100 gets its virgin shakedown run, then we'll trailer her to Louisville's Mecum Auction where she hits the sale block to the highest bidder.